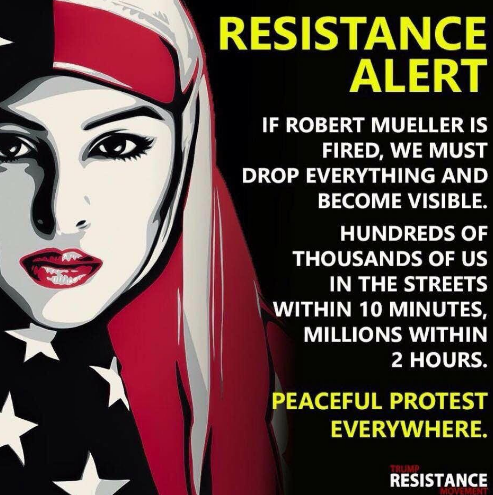 If Trump fires Mueller, MAKE NOISE! A cacerolazo, cacerolada, or casserole is a form of popular protest which consists of a group of people making noise by banging pots, pans, and other utensils in order to call for attention. It arose in some Spanish-speaking countries (in particular Venezuela, Argentina, Chile, Colombia, Uruguay, Ecuador, Cuba, Peru, Spain) and has been seen more recently in English- and French-speaking countries, most notably Quebec, as well as in Turkey during the 2013 protests in Turkey and Brazil during the 2015 protests in Brazil. What is peculiar about this type of demonstration is that people can protest from their own homes, thus achieving a high level of support and participation.